At Altaro we continuously invest in our products to keep providing more flexibility and functionality you'll actually use, while keeping our pricing affordable and honest. Replication – WAN-Optimized Replication – VMs can be replicated to a remote site continually, drastically improving the Recovery Time Objective (RTO). Continuous Data Protection (CDP) – switch from running daily backups to backing up as frequently as every 5 minutes through a continuous data protection model, significantly improving the Recovery Point Objective (RPO). Grandfather-Father-Son Archiving (GFS) - Archive backup versions in addition to your continuous and daily backups, by setting up separate backup cycles so you can store a new backup version every week, every month, and every year. 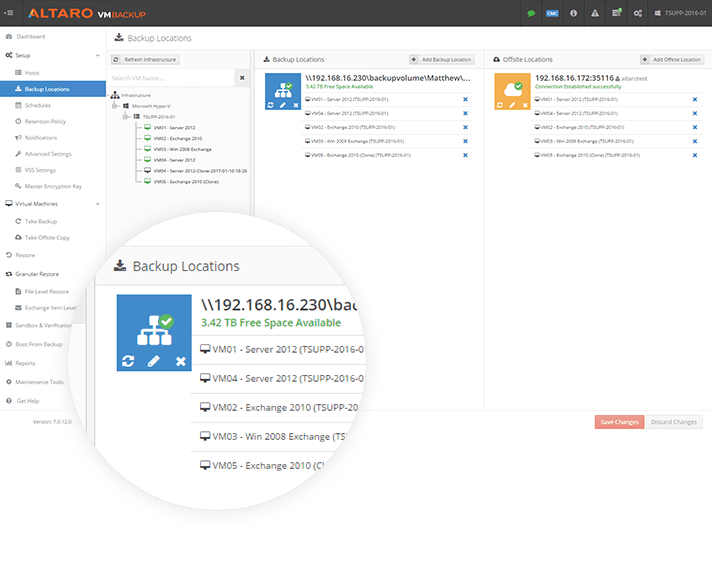 Back up to other public clouds - The Altaro Offsite Server, provided at no cost, can be installed on a VM in any cloud platform such as AWS and Google Storage, to act as a backup server in the cloud. 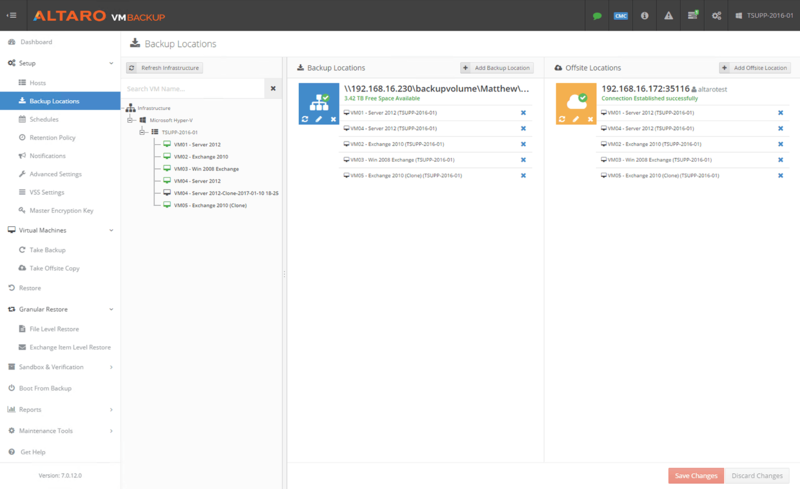 Replicate selected VMs to an offsite location for disaster recovery protection, either to your own offsite storage through your internet connection (with optimized transfer speeds through WAN Acceleration) or by enabling drive swap rotation on selected drives. Augmented Inline Deduplication means that common data is only transferred to the backup or offsite location ONCE. This process happens inline and not as a post-process like most competitors, which ensures that only changed data gets sent to your backup repository from the get go (rather than removing the identical data after the transfer). The result: Superior efficiency, drastically reduced backup storage requirements and blazing fast backup speeds. 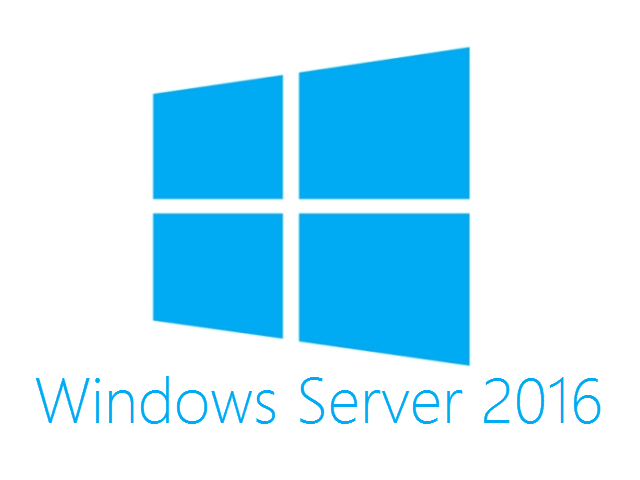 Restore VMs to the same Host but with a different name, without the need to overwrite your live VMs. Simply access the Cloud Management Console remotely from your Web Browser, no need for VPN or to be onsite. 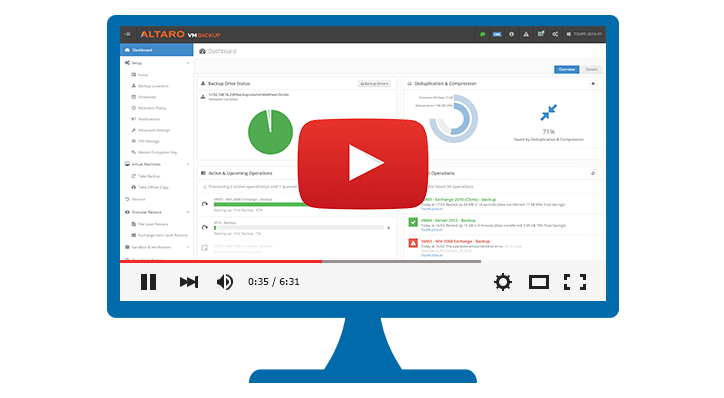 Push Upgrades directly from the CMC, Backup Configuration, and License Keys to multiple Altaro VM Backup installations quickly. View backup / offsite copy / verification health information in the new CMC dashboard which will also show disconnected Installations and skipped operation schedules apart from failed backups. 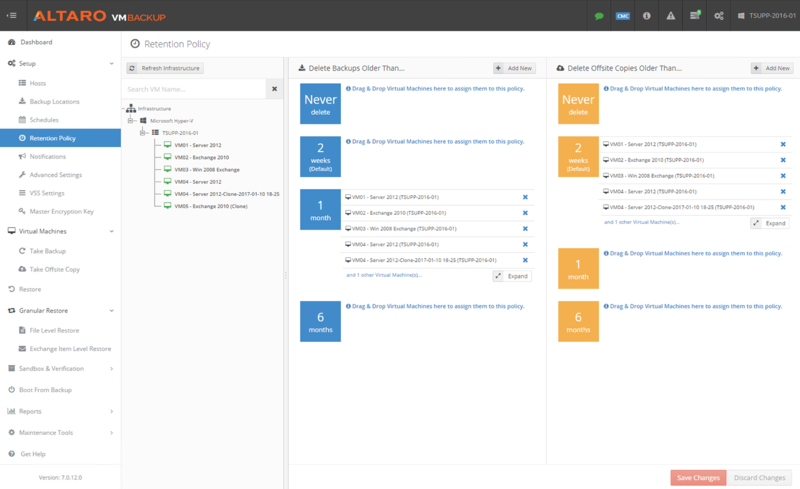 Initiate Backup / Offsite Copy / Restore jobs from the Cloud Management Console and monitor progress without needing to be on site. 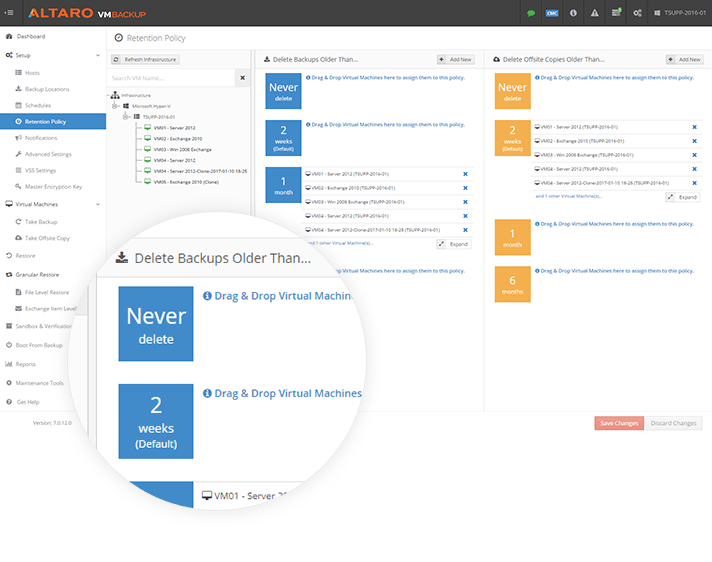 Altaro VM Backup saves you the hassle of cumbersome installs and configurations, helps you avoid unreliable virtual machine (VM) backups using basic tools and doesn’t break the bank. “Functionality combined with affordable price (compared to competitive products) were the key advantages to choose Altaro and we don't regret the decision."